Periodical maintenance, not found in the Owner’s Manual | Autobahn Performance Inc. Eventually with any chain driven or Direct Injected VW engine, there are some maintenance items that will come around. 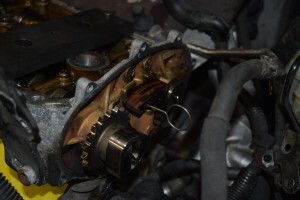 On the TSI engine equipped VW cars, timing chain tensioner related failures have become wide spread. We briefly discussed it in an earlier post found here. In some other VW, Audi, and Porsche cars the timing chains run on guides that eventually wear and sometimes break in to pieces. On the Vr6 equipped vehicle this normally would be done with a clutch replacement as the transmission would be off the engine. In a Porsche 911 it would be done in some form of an engine rebuild. In the TFSI engine VW and Audi cars, it can be done without completely rebuilding the engine or removing the transmission. Gradual loss of power and fuel mileage? Your car’s intake my be getting clogged with carbon deposits like a slow sink drain. 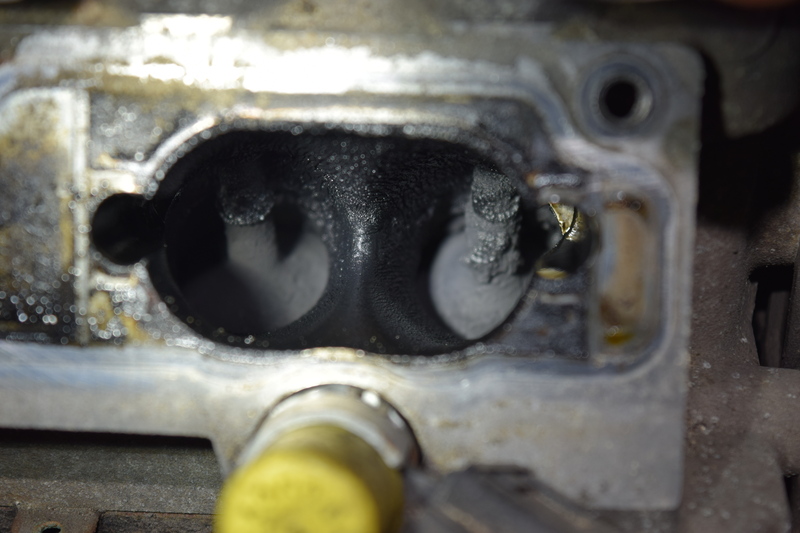 Carbon deposits on the intake valves are a byproduct of the Direct Injected fuel systems found in most current VW, Audi, Mini Cooper, and BMW vehicles. Many hours will be set aside to remove the intake manifold(s) and clean these deposits out by hand (large bits), then remaining carbon gets clean off by walnut shell media blasting. VW, always keeping owners on their toes!